Call Angelo’s Carpet Cleaning! We offer carpet cleaning services, air duct cleaning & many other cleaning services. Angelo’s Carpet Cleaning has been providing quality service for Lansdale, Pa. Carpet Cleaning for over 25 years. We are focused on giving our customers excellent service. We only use high quality, safe products on your carpets, area rugs, flooring and upholstery in your home which are safe for your family and pets. Did you know cleaning wall to wall carpeting in your home is essential for your family’s health? 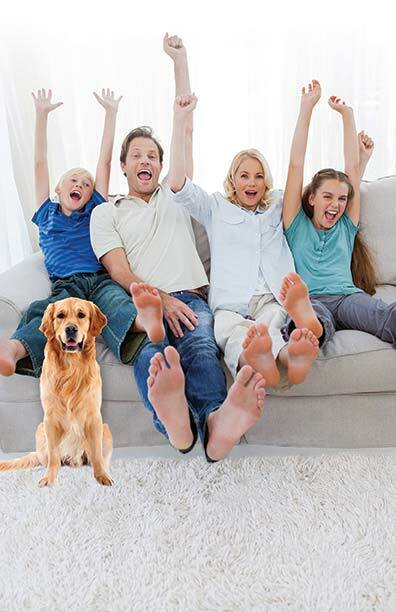 To all our Montgomery County neighbors… if you have kids and / or pets, your carpets can become dirty fast! If you regularly vacuum your carpets it can can help reduce soiling and wear, but a deep and thorough professional carpet cleaning is necessary to remove deep grime and allergens. Many rug manufacturers specify that to care for a carpet, it should be professionally steam cleaned or dry cleaned on a regular basis. Doing so, provides a longer life for your carpets and a cleaner, healthier home for you and your family. You get the best possible service at a reasonable price! Satisfaction GUARANTEED. Our cleaning services always include our 30 Day Satisfaction Guarantee and 6 Month Warranty. Angelo’s Carpet Cleaning Experts have helped many homeowners and businesses in your neighborhood, clean their carpets and all types of flooring. 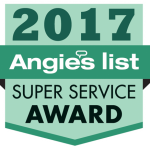 We have many excellent reviews and invite you to view our company on Angie’s list carpet cleaning reviews, Yelp or Google and now on HomeAdvisor. My carpets are 14 years old and Angelo made them look new again. Thanks for the great service! I’ve used other cleaning companies for the past 23 years, and Angelo’s Cleaning has been the best. They’re very trustworthy and easy to work with. They’re always on time, but if they’re ever late, they’ll call me. I have them buff and wax my floor, and sometimes clean the arms of my styling chairs. I trust them to get things done! We are trained and certified by the IICRC (Institute of Inspection, Cleaning & Restoration Certification). Our equipment is environmentally friendly and uses less water than other systems by releasing only 3-6 gallons of water per room of carpet cleaned. This also means less waste water and a quicker dry time so you can enjoy your clean carpet! Lansdale Pa Carpet Cleaning Special! – 5% off when you order online– 10% off when you have us re-clean an area within six months of the initial service. – $20 off a cleaning service – find out how! As Indoor Air Quality specialists, we help keep your home clean, healthy and safe. Cleaning Carpets, Area Rugs and Flooring in Lansdale, PA 19446 for over 25 years! Thank you for your interest in Angelo’s Lansdale Carpet Cleaning. We know there are many other companies in and around the Chester County area that you could call and that’s why we strive to give you the best possible service at a reasonable price. ALL Calls Answered Personally, free phone quotes! 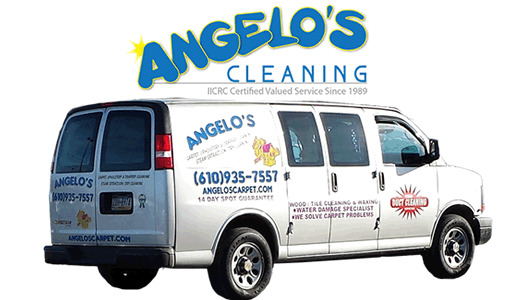 Angelo’s Service areas: Phoenixville, Limerick, Harleysville, Pottstown, Douglassville, King of Prussia, Norristown, Lansdale, West Chester, Coatesville, Downingtown, Radnor, Newtown Square, Haverford, Upper Darby, Villanova, Wynnewood and surrounding areas!